This 32 page booklet tells the story of the three visits by Sir Ernest Shackleton, one of Britain's most heroic figures, to the remote island of South Georgia, which he called ëThe Gateway to the Antarcticí. It is a special centenary edition written by Robert Burton with a foreword by the Hon. Alexandra Shackleton. 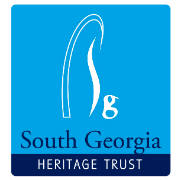 All profits from its sale will be used to preserve Shackletonís heritage on South Georgia. Robert Burton has delved into firsthand accounts of Shackleton's three visits to the island, as recorded in diaries and newspaper reports, to reinterpret and develop this much told story. A special centenary edition of the Shackleton booklet with a foreword by the Hon. Alexandra Shackleton, tells the story of one of Britain's most heroic figures and his connection with the remote island of South Georgia, Shackleton's ‘Gateway to the Antarctic’. Robert Burton has extensive experience of South Georgia and brings his personal interpretation to the much told story. He has delved into firsthand accounts of Shackleton's visits to the island, told in diaries and newspaper reports. Shackleton's famous crossing of the island is re-interpreted by assessing the firsthand accounts by Shackleton and Frank Worsley in the light of recent expeditions following in their footsteps. 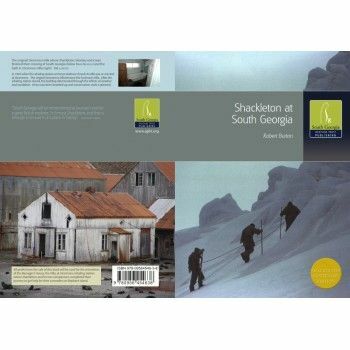 All profits from the sale of this booklet will be used to preserve Shackleton’s heritage on South Georgia. If sufficient funds are raised this will result in the restoration of the Manager’s House, the Villa, at Stromness whaling station where Shackleton and his two companions completed their journey to get help for their comrades on Elephant Island.